The National Hispanic Media Coalition (NHMC) President and CEO Alex Nogales has written a letter to Verizon Chairman and CEO Lowell McAdam threatening to rally Latino leaders across the country against "Verizon products and services," if Verizon doesn't reinstate access to Univision for East Coast consumers. Why it matters: The letter, obtained by Axios, shows particular concern over the fact that the signal was pulled Monday night from Verizon's Fios and mobile products without warning and that it was removed at a time when Hispanic viewers need coverage of catastrophic events affecting families and businesses in Mexico and Puerto Rico. Verizon argues in a letter to FCC Chairman Ajit Pai that they have offered alternative programming options to consumers and outlined the carriage fee negotiations. 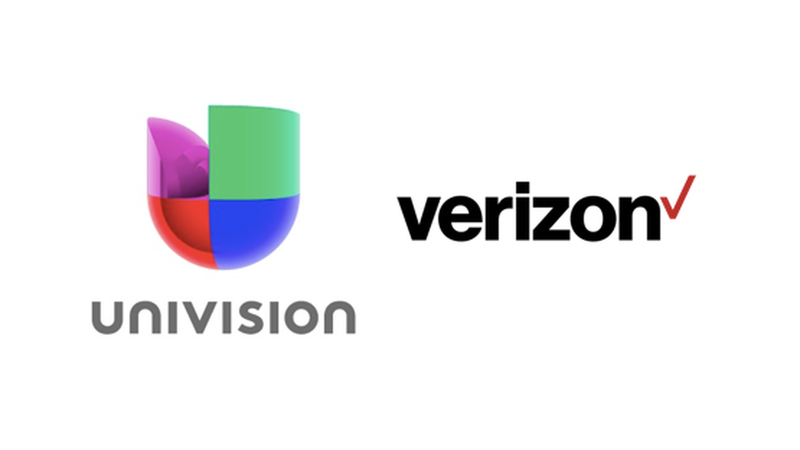 "Despite diligent efforts by Verizon over the last two-plus months to reach reasonable termswith Univision and considerable movement on our own part during those negotiations, Univision has consistently insisted on unreasonable terms that would raise prices and harm our customers," the letter says. New wrinkles: Fights between Pay-TV providers and cable networks happen often, but this one is different. Univision says the blackout happened without warning. Typically both parties, the distributor and the content provider, come to terms about next steps before a signal is removed during a dispute. People familiar with the matter say that has not been the case, and that the signal was pulled unexpectedly. The blackout occurred on the distributor side. Often it's the network that threatens to pull a signal because a pay-TV provider refuses to meet their carriage fee demands. This time, Verizon pulled out of the agreement, citing cost. The bigger picture: The fight is the latest example of what happens when a Pay-TV provider and a cable network can't agree on a new contract, which has been happening at an increasing rate. These disputes have led to more TV blackouts in 2017 than any year prior, per the American Television Alliance. By 2022, SNL Kagan predicts that retransmission fees being charged by TV networks will increase by roughly 50%, reaching a record-high of $11.6 billion.